Attracting the most excited and creative people is important to us. We offer a fun environment, competitive benefits, and opportunities for growth. 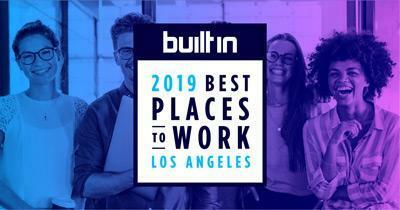 We're excited to be included in Built In LA's Best Places to Work 2019! If you are interested in working within a company that values creativity and a passion for technology, we are interested in hearing from you. More opportunities to come at Edlio!